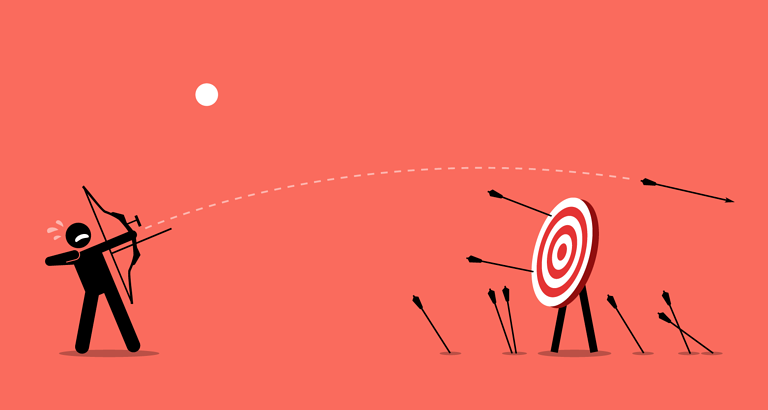 If you’re overlooking fundamental design mistakes you could be creating barriers for customers and missing key opportunities. The goal is to make your website as user-friendly as possible, so a prospect’s path from discovery to conversion is seamless. Whether your website is already up and running or you’re just starting to think about it, you would be wise to avoid these five common website mistakes to ensure your visitors enjoy the best user experience possible. Your website does a lot of things. It houses information, answers questions, builds and maintains connections, aids discovery, and establishes brand. But the fundamental goal of your website is to convert prospects into customers. It is therefore shocking how common it is for companies to neglect building calls to action and conversion channels into their web design. SOLUTION: Start with a clear conversion goal. What next step do you want visitors to take after they browse your website? Make a purchase? Sign up for an email list? Whatever it is, give that action prominence on your website. The call to action should appear multiple times throughout the site and the action itself should be easy to complete, requiring just a simple form or click of a button. Search engine optimization (SEO) is more than just stuffing your website full of keywords to rank highly in search results. Optimizing your website for search means providing search engines the information they need to verify your domain, crawl and archive your web pages, measure your authority, qualify your content, and, yes, determine where to rank your website in results. Providing inaccurate or incomplete information will damage your domain authority and lower your rankings. SOLUTION: SEO has both on-page and off-page components that contribute to the overall SEO “health” of your website, some of which are in your control and some of which are in the hands of readers and visitors. Educate yourself on the elements you can control, such as page titles, meta descriptions, image alt tags, content quality, and site architecture. If your site is already live, go back in and fill any gaps. If you’re still building your site, make sure you’ve crossed your T’s and dotted your I’s before the site goes live. On average, consumers now spend nearly five hours a day on their smartphones, and over half of all web traffic now takes place on a mobile device. Even more shocking, people today have twice as many interactions with brands on their mobile device than anywhere else—including TV, print and in store. If your website is going to be successful, it must be responsive and mobile-friendly. SOLUTION: Responsive website design allows a web page to load and format correctly across all devices. There’s no way around it. You need to hire a programmer who can create a responsive web design, work with a web design platform that offers responsive options or at least be sure you’re following best practices. As Internet speeds have increased, our patience for slow websites is nonexistent. With each second that a page takes to load, page abandonment increases exponentially. In fact, nearly a third of visitors will leave if your page takes more than 3 seconds to load; that bounce rate jumps to 90% if it takes more than 5 seconds! Server speed and page load time are thus critical ingredients for a positive user experience – and a successful business. SOLUTION: Free tools such as GTmetrix will analyze your site’s speed and offer recommendations for how to improve it. Depending on the severity of your website’s lack of speed, solutions range from image compression and code revision, to redesign and hosting migration. If you don’t have any in-house web development experts, you’re probably going to want to outsource this one. When a visitor lands on your web page, you have a limited window of time to make a good impression and deliver what they’re looking for before they click away. Your website needs to be well organized and accessible to a wide range of users so they can intuitively find the information they seek. If they have to dig for information, they'll quickly become too frustrated and move on. SOLUTION: The first step of your web design process should always be to create a sitemap. This is your opportunity to identify the pages that will live on your site and outline the content each page will contain. Make sure the flow of pages and content is logical and intuitive, and that no single page is overpopulated. Show your sitemap to someone not directly involved in the project to verify that it makes sense to a third party. Ask them to walk through the path they would take to find a particular piece of information, starting from the homepage. If their path is successful, you know your sitemap is sound. Looking for more ways to boost your site’s conversion power? 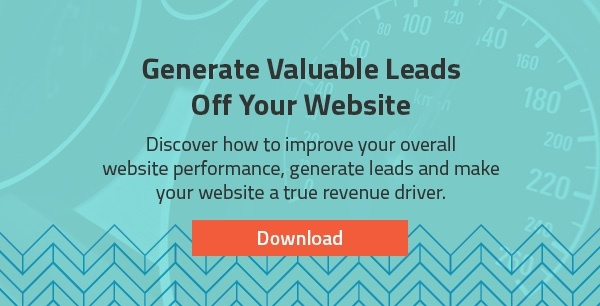 Download our FREE e-book “7 Must-Haves to Get More Leads from Your Website”!